The latest data, trends and best practices in email marketing. Tired of reading through the same email marketing benchmark reports again and again? While they're useful, they're mostly based on surveys and sample data, which isn't the most reliable when making key marketing decisions. 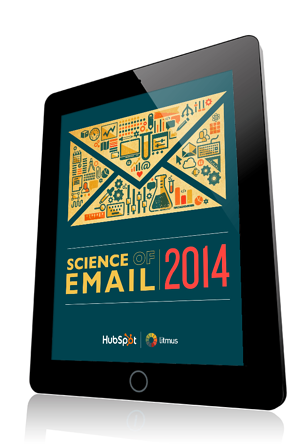 Here's something new: a data-rich report from HubSpot and Litmus based on over 800 million sent emails. It's juxtaposed with self-reported responses highlighting trends in attitudes, consumption behavior, mobile, and email copy. Every organization does email marketing -- now you can do it better. Download the full report by filling out the form to the right to start improving your engagement metrics today.